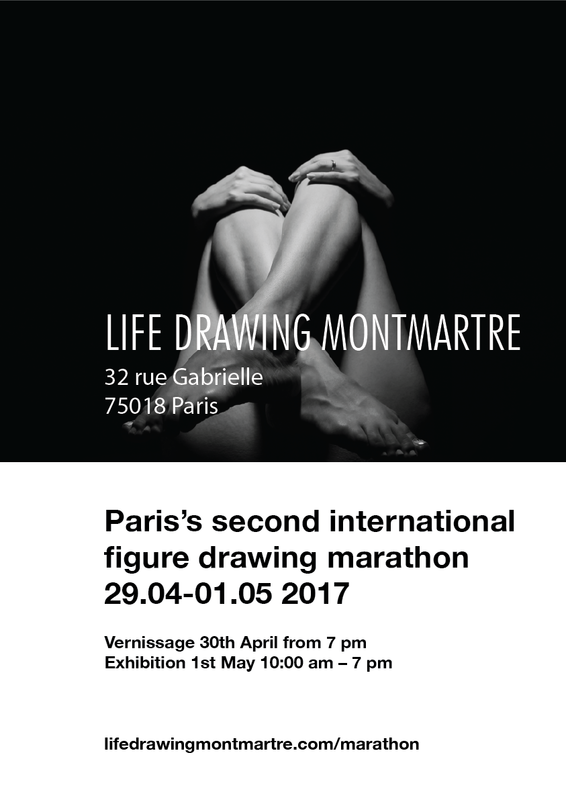 On the last weekend of April we are hosting the second edition of the Life Drawing Marathon. Join us for a weekend of life drawing with the best Parisian live models in one of the most picturesque settings in Paris. Want to hear more? Take a sneak peek at the new program and photos from the previous marathon here. In addition to a schedule fully packed with exciting drawing workshops and a one day exhibition, this year all participants will also get a chance take part in a juried life drawing contest. The winning artist will be awarded with a solo exhibition! So stay tuned and we hope to see as many of you as possible at the marathon.